While traveling across Vietnam, there were exactly 2 dishes I almost ate every day. One was Pho and the other one were Vietnamese Rice Paper Rolls. I ate them everywhere to every day time, I guess I got addicted. One day I got a roll with only rice noodles and carrots in there! Being polite, I did not say anything, thanked them and ate the plane rolls. Anyways, It was better than having coriander in the rolls, coriander has the worst taste on earth for me. 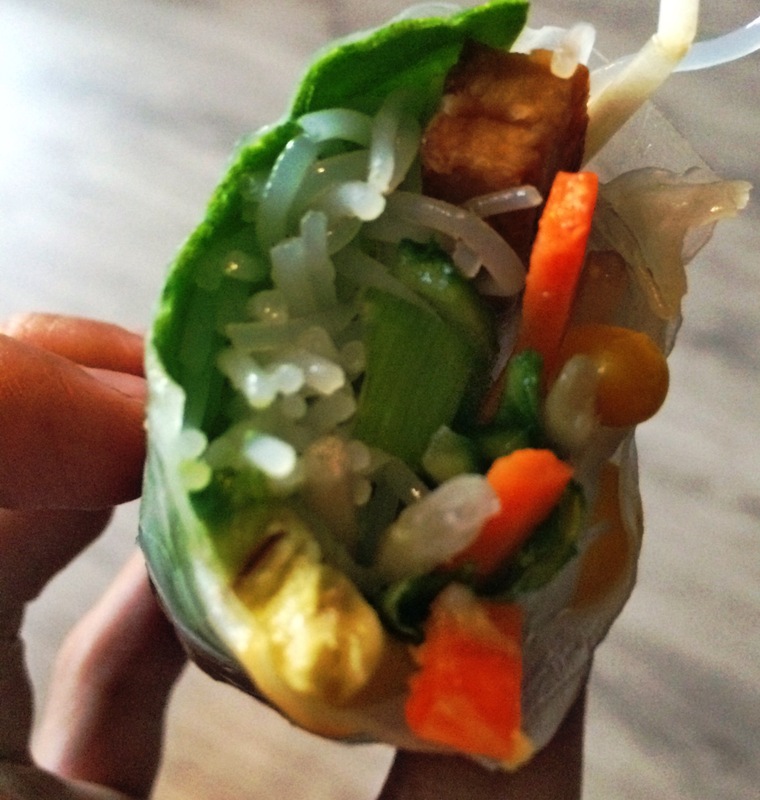 Now, back in Europe, I am in charge of my own Vietnamese Rice Paper Rolls. 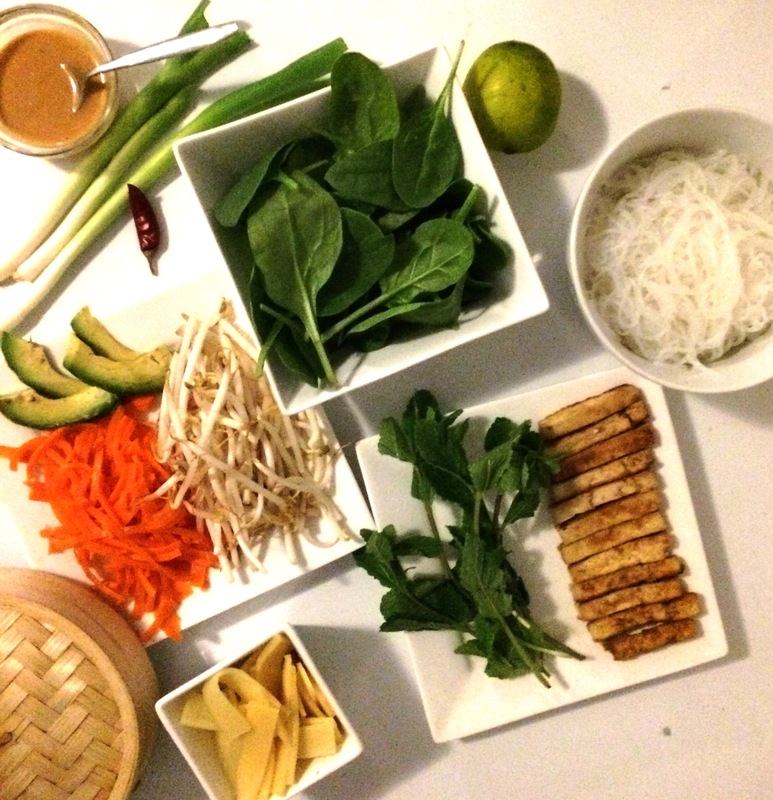 And I love making them as much as I love eating them – of course without coriander! The most important or fundamental thing about those Rolls is the sauce. My favorite sauce is called Nuoc cham. Another lovely dipping sauce is a Peanut butter dipping sauce. Once the sauce is made, you can start preparing your favorite rolls. I made a collection of my two favorite combinations. 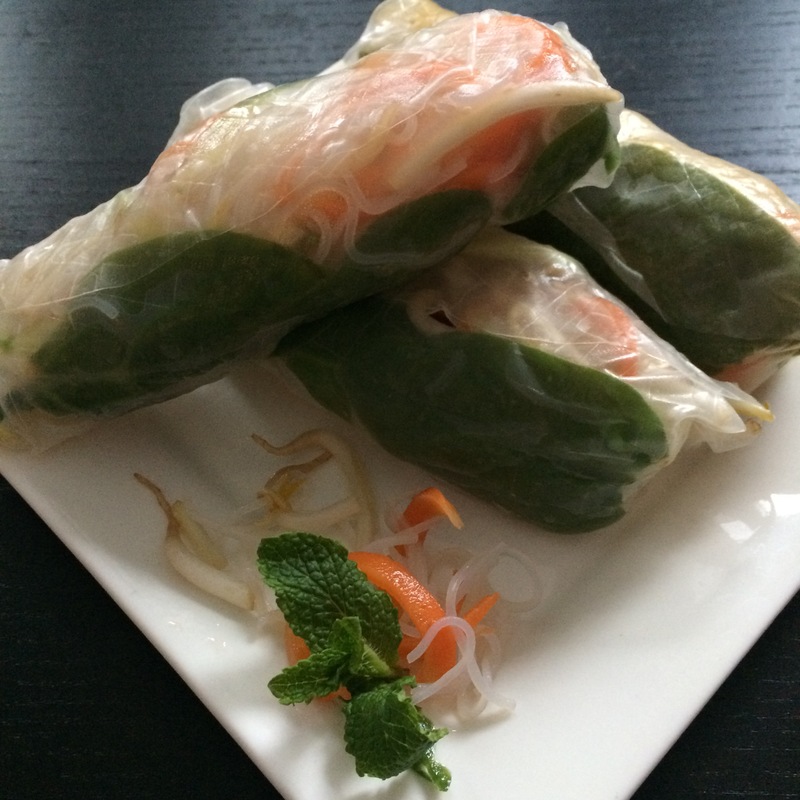 Place 1 rice paper round in a medium bowl of lukewarm water for 15 seconds or until just soft. Place on your plate/board. Arrange the mixture along the centre of rice paper round. Fold ends in and roll up firmly to enclose filling. 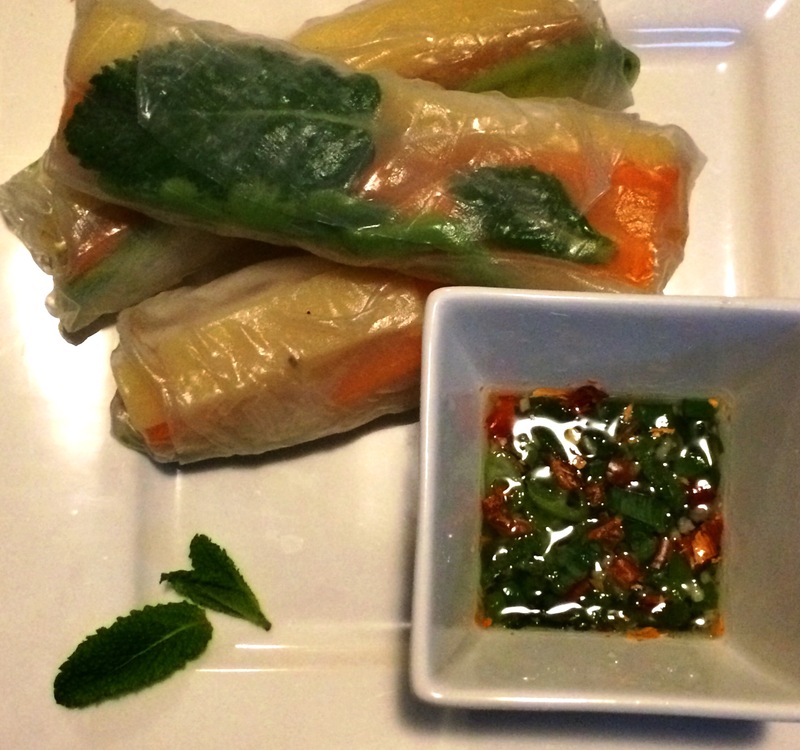 Repeat with remaining rice paper rounds and filling. Every serving has approximately something between 70kcals and 100kcal. Yes we should all try to make some.